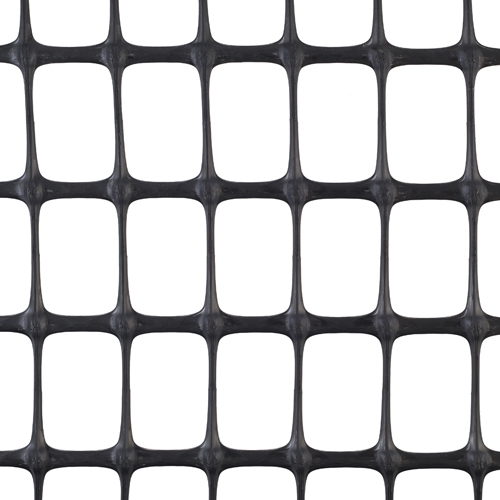 Tenax LBO 370 geogrids are specifically designed for base reinforcement when there is coarse granular material, therefore they are ideal for railway ballast reinforcement in order to better distribute loads and increase the service life of structures and foundation soil. 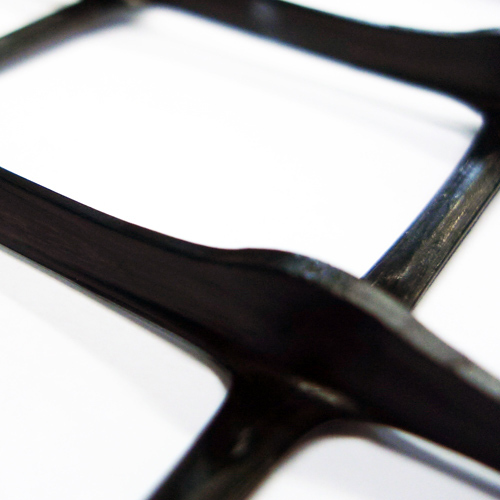 The large square mesh (65 x 65 mm), 95% junction strength, and 94% resistance to abrasion are unique characteristics of this product. 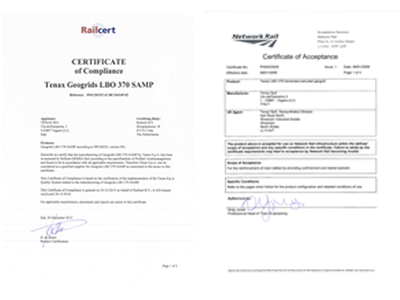 The use of LBO 370 geogrids to build new railway tracks or replace the existing ones is authorized by British and Dutch Rail Authorities. 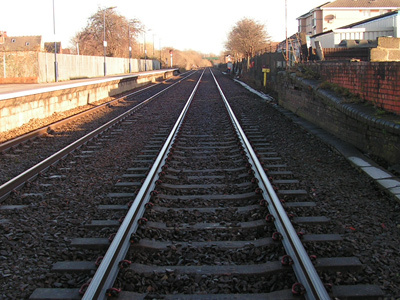 Rails are subject to a vertical movement due to the cyclic load of train convoys. This movement is often clearly visible when trains pass. This excessive movement is dangerous for rails and thus for the safety of structures and passengers. 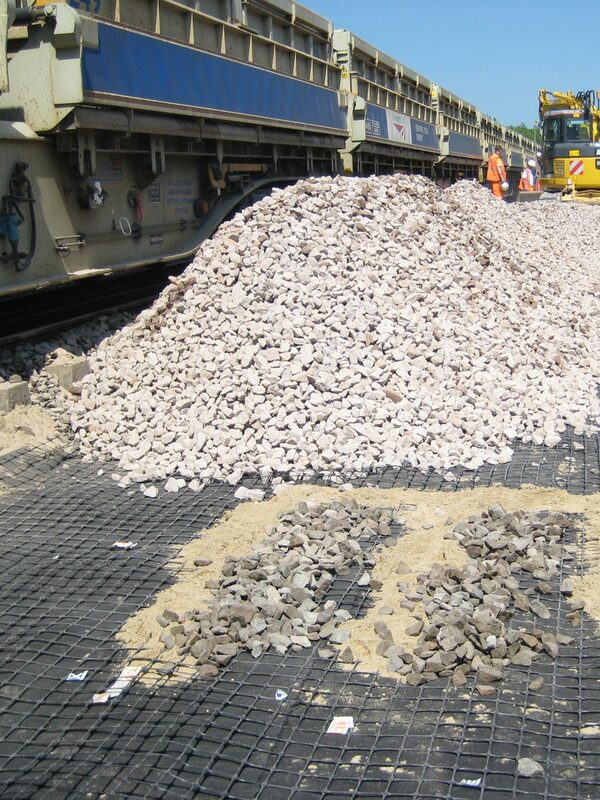 Furthermore, fragments of broken aggregate reduce the drainage capacity that is a basic feature for railway infrastructures. In these cases, it is necessary to restore the operating conditions by filling the holes and compacting the ballast. Trains cannot run when these operations are performed, generating inconvenience for passengers. In order to avoid these situations, ballast performance need to be increased using LBO 370 geogrids. 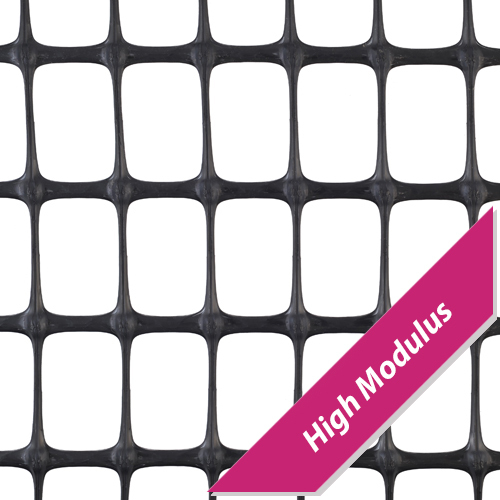 When the ballast is laid on geogrids, the aggregate particles interlock in the product mesh, generating an interlocking mechanism between ballast and geogrid. 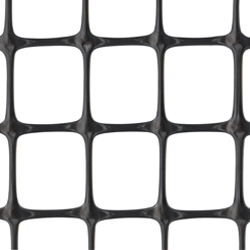 The tensile strength of LBO 370 geogrids, combined with the interlocking mechanism, improve ballast characteristics, reduce lateral movements, and increase service life of materials. This leads to economic benefits (reduction of emergency maintenance) and an improvement in railway performance (fewer service disruptions for passengers).